For the last few years, Dan’s name has become quite that of the household in the dance scene. From releasing his debut album in 2014 on Moodymann’s estimable label Mahogani Music, he did nothing but continue on his already successful path and created his own label Shake, on which he then went to release his own tracks. Hailing from London, Dan was the only DJ to be part of Mahogani Music’s ensemble with neither Detroit heritage nor Detroit residency, which says a lot. Moodymann (Kenny Dixon Jr.) has not only been a huge inspiration according to the London-based Dj but has also given his career an incredible boost from a young age. Gaining support from the likes of highly-revered DJ’s such as Antal and Giles Peterson, Dan launched his 12″ edit series, Shake Tapes, which is essentially an outlet for the Dan’s private stash of DJ-friendly cuts, exploring all corners of the globe. Despite his influences from the house scenes of music like New York, Chicago and ultimately that of Detroit, Dan is most illustrious for his authenticity and uniqueness whether that be in front of a huge Melbourne crowd or behind his decks in the studio. 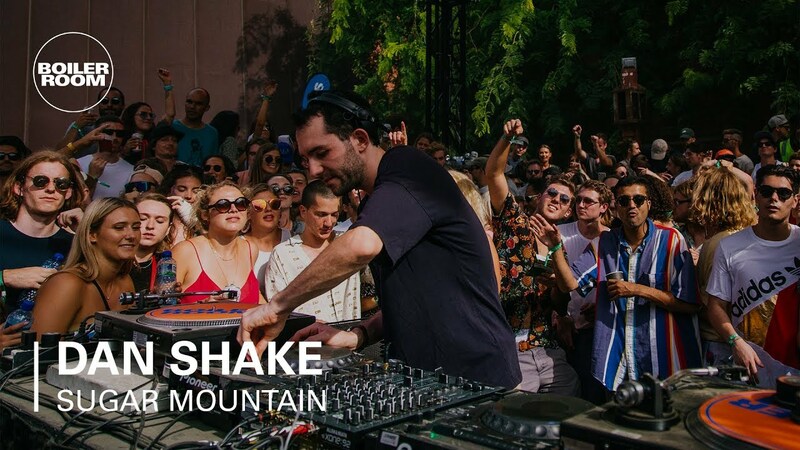 Shake plays ‘a load of dope disco edits, some funk, sould, afro-boogie and a bit of acid now and then’, covering a large variety of genres, which are easily picked-up on in both his live sets and his productions. Listen to Shake’s prowess as an artist in the song below, recreating now the sound which has defined dance music. If you really want to feel what he sounds like at sets; put your headphones in or turn up the speakers because you can feel the Shake in this. It’s fair to say this guy has come a long way, and the only way is up for this prospect from London. Every set, every remix and every production continues to exhibit his raw and unique talent, and we can’t wait to see him play alongside our Dias de Campo outfit this coming may. Get your tickets for Dias de Campo here. We are now offering tickets for the Friday, Saturday and Sunday for those that can’t make the whole weekend. Make the right decision and watch this legend Shake the mountains of Montanejos with his incredible talent.